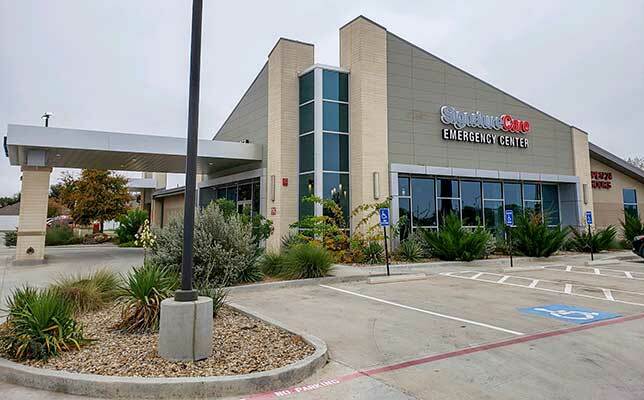 As the leading and fastest growing emergency room group in Texas, SignatureCare Emergency Center’s ER are fully equipped to take care of all minor and major medical emergencies. With little to no wait time, our ERs are designed to provide all patients and their families with maximum comfort. Our freestanding and ultra-modern emergency rooms are equipped with modern diagnostic technology like multi-slice CT scanners, Digital X-ray machines, and on-site labs, and they are staffed by experienced, board-certified ER physicians, licensed registered nurses and trained support staff. Our ERs are designed to be stress free. We know you are already under stress due to the illness and our goal to do everything we can to reduce that stress. SignatureCare Emergency Center offers numerous ER locations in Texas including Houston (Westchase, Houston Heights, Houston Montrose, Copperfield and Memorial City), Bellaire, Stafford, Mission Bend/Sugar Land, Austin, Killeen, College Station, Midland, Paris, Odessa and Texarkana. Additional ER location in Cypress/FM-1960 area, Houston TX 77069 will begin operation in early 2019. If you need immediate medical attention, dial 911 or visit the nearest emergency room now. – Can I Visit a Freestanding Emergency Room with No Insurance? – Do I Use Urgent Care or Emergency Room?